Lorraine Johnson was a high-functioning attorney in the late 90's living in southern California with her husband and children when she started experiencing changes in her mood, energy level, concentration, and digestion. An avid hiker, Lorraine loved to travel to the mountains of northern California and enjoyed spending time outdoors. In 1997, this hobby and a misdiagnosis would change her life forever. At first, simple things like taking walks or socializing were difficult for her, and she began feeling helpless as her situation worsened. Her symptoms included fatigue, cognitive impairment, severe lack of energy, gastrointestinal problems, and joint aches. The specialists she saw treated her specific symptoms as individual conditions, such as treating her for arthritis and GI issues. But no one considered that her condition may be multisystemic. Without a proper diagnosis or treatment, her condition deteriorated, and her hope dwindled. “It felt as if I were sitting in a house alone, watching the lights turn off one by one until I was left sitting in the dark,” Lorraine says. She was diagnosed with depression given that her symptoms resembled it, and she was put on different psychotropic medications for five years to see if any of them would alleviate her symptoms. Over time, she was prescribed a myriad different drugs or combination of drugs to treat depression, one regimen at a time in a trial and error attempt to find a successful treatment regimen. This involved going on a medication and being on it for six to 12 weeks, figuring out whether she could manage the side effects, whether the regimen was working, and then trying out a different medication. During this period, she gained 50 pounds—weight gain is a common antidepressant side effect. "It was absolutely horrific because just going on and off a psychotropic medication is very hard,” she explains. “It completely messes with your neurotransmitters and your hormones, so constantly going from one antidepressant to another was very difficult on me and the family." At this point, Lorraine was forced to quit her job, as she couldn’t work anymore, and she was also emotionally absent in her family’s lives when her children were eight and 10. In 2002, a doctor suggested that they test her immune system and they realized it wasn't working the way it should. The doctor was wondering if Lorraine had a bacterial infection, a viral infection, or an autoimmune disease, so she put her through a variety of tests—one came back positive for Lyme disease. This was great news for Lorraine because she could finally treat the underlying cause of her symptoms properly and prevent further progression of the disease. Her previous doctors had missed her diagnosis because they were thinking in their own professional “silos” rather than looking at the whole picture. During her hiking trips, Lorraine had in fact found ticks on herself and pulled them off, not knowing that they could be carrying the Lyme bacteria. Although Lyme disease is widely known to be a problem in the Northeast where it was discovered, doctors in California were not looking for it. “It's a disease that has some geographical focus and being in a different state may delay the correct diagnosis,” Lorraine notes. With her final diagnosis, she had a SPECT scan—an image of the brain that shows the activity level of the brain and blood flow—done and it came out dark. Her blood vessels had gotten lined with Lyme bacteria and gotten in the way of the blood getting to the brain. By treating the infection doctors restored blood flow to the brain. Lorraine tapped into the patient community for Lyme disease and asked for doctor referrals on a forum after explaining her situation and late stage diagnosis. She had people reach out to her in response to her post, and she was directed towards doctors with experience in Lyme disease, who treated her condition aggressively for two years. She knew that her condition was going to be hard to treat because of how long she had waited for the correct diagnosis, and she learned that it is difficult to find doctors that will treat Lyme in its late stages. Lorraine had often felt misunderstood before her diagnosis. People often thought she was overreacting or exaggerating her symptoms – after all, getting tired easily and other issues come with getting older. Lorraine was now on a mission to help and educate others. Although Lorraine realizes most people with late stage Lyme disease don’t have the same good fortune as her, Lorraine was restored to her normal life in 2004. After the two years of intensive treatment, she had another SPECT scan done and her brain appeared luminous—the lights were back on! She was then able to think clearly again and she was no longer on any anti-depressants. Today she is a patient advocate calling for more patient engagement in their diagnoses. 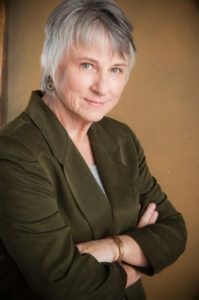 As the CEO of LymeDisease.org, which reaches millions of Lyme patients, Lorraine believes and has seen firsthand that the patient communities are the ones pushing the research agenda forward. She would like to see patients involved in research, shared medical decision-making, and promoting public policy change to speed up diagnosis, develop more effective treatments, and improve the quality of life for patients. LymeDisease.org has launched one of the nation’s largest patient driven research projects, MyLymeData. MyLymeData is a patient registry and research platform that allows patients to pool their data to help find a cure. One of the key observations from the registry data is that although 45% of patients with late/chronic Lyme disease have early symptoms of Lyme disease, 70% are not diagnosed for six or more months after symptom onset when treatment failures are much higher. (LymeDisease.org patient registry, MyLymeData, Phase 1 April 27, 2017 (N=3,903)). Thinking back to her own experience, she says, “I mainly felt that there was a lack of curiosity [from the doctors] and an unwillingness to think outside the box. Misdiagnosis in Lyme disease is unfortunately too common.” Lorraine recommends that patient advocate for themselves in diagnosis and in research. Patients need to be at the center of healthcare change. Lorraine Johnson is a Patient Partner working with SIDM’s Patients Improving Research in Diagnosis (PAIRED) project, funded by the Patient-Centered Outcomes Research Institute (PCORI). Read her biography. To learn more about the project, contact Sue Sheridan at sue.sheridan@improvediagnosis.org. At the Society to Improve Diagnosis in Medicine (SIDM), we are focused on raising awareness about the impact of diagnostic error and providing tools and resources for patients to achieve a timely and accurate diagnosis.